Good point. I am in NC and you are probably correct on state laws or taxing. I order all my nic from Carolina Xtract. Awesome nic and PayPal to boot. The only thing I guessed is that their nic maybe has medical applications as they say on their website “PHARMACEUTICAL TARGETED” For any reason I hope it never changes. I am forever thankful that I am right down the road from them and Bull City. I am forever thankful that I am right down the road from them and Bull City. Im glad im not and they should be too! Love doing business with you and how fast you ship. Placed my first order with BCV this morning. Interested to compare shipping times of different companies. Got the free shipping. It will probably go out today or tomorrow. Then it’s the good ol’usps from there. Received full order today. Pretty quick shipping, very nice bottles. Only negative is they only shipped 3 tips for about 10 bottles I ordered. @BullCityFlavors so whats this VT flavors i see under new arrivals? Posted at the same time i guess, but thanks! I got there sample pack, sour mate, fizzy sherbet, jam it and have been testing them out the standouts so far have been strawberry milk, green apple, sour lemon will do a full report in a few weeks. I forgot a couple of staples with my last order. I swear I placed an order Saturday, earliest in Friday. It came in yesterday evening. THAT’s QUICK. I paid for standard shipping. 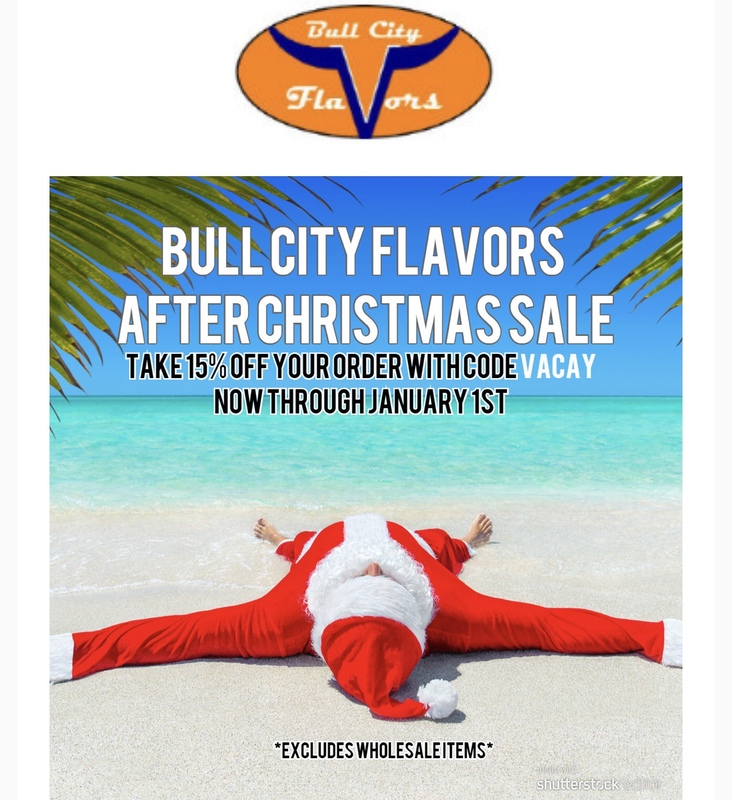 Has BCF got a coupon code, I need some Flavors!!! ELRECIPES = 6% off ? Real Flavors has stopped selling directly to retail customers so it’s an especially opportune time to expand the number of flavors you’re carrying. I’ve written to customer service a few times and mentioned it here a few times, asking if you could carry a few of the flavors you’re missing. Honeydew, Orange Cream and Spearmint are the ones I’m most in need of but other people have mentioned needing other flavors. No one from customer service has ever gotten back to me. Just in case people have not seen it. With fast shipping times and consistent pricing I’ll shop here every time.